Polk State College’s Honors Program and Student Government Associations (SGA) have partnered to host Breast Cancer Awareness events on both campuses and at the Polk State JD Alexander Center that will bring the community together for educational activities, resources, and support for those with breast cancer, who have survived breast cancer, or may know others suffering with breast cancer. The events will take place Thursday, Oct. 25, from 10:30 a.m. to 1:30 p.m. in the Lakeland Campus Student Mall; Monday, Oct. 29, from 10 a.m. to 1:30 p.m. on the Winter Haven Campus Lawn; and Wednesday, Oct. 31, from 10:30 a.m. to 1:30 p.m. at the Polk State JD Alexander Center. Students and alumni identified the need for the events when Polk State’s Relay for Life merged with the City of Winter Haven’s Relay for Life event. “We want to make sure that we are raising awareness and bringing resources to students right here on our campuses,” said Gonzalo Gutierrez, Honors Program Assistant who received a Polk State BAS in Supervision and Management with a concentration in Business Administration in May 2018. 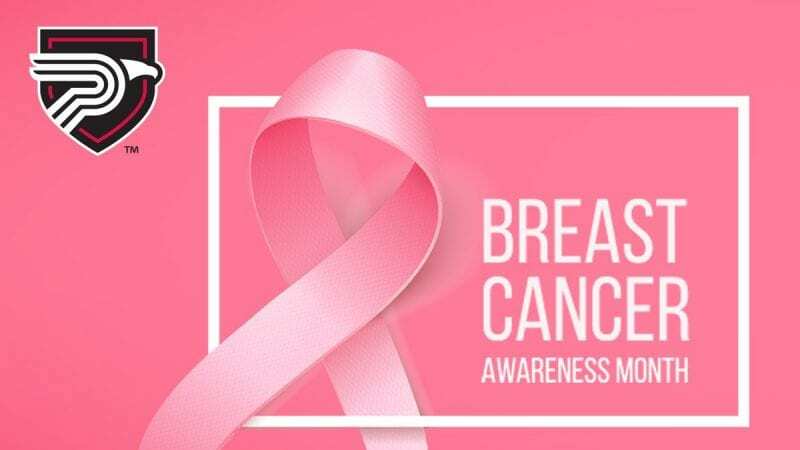 The events will include giveaways; representatives from the American Heart Association, local health clinics, and student clubs; opportunities to hear the stories of breast cancer survivors; and resources for individuals who may be suffering from breast cancer or know someone who is diagnosed. There will also be a variety of activities, including rock painting. The Lake Wales SGA recently held Breast Cancer Awareness Month events at the Polk State JD Alexander Center, where they built an “awareness wall” to spread messages of inspiration. “Breast Cancer Awareness Month is the key to opening doors for pre-diagnosis for many. It is also a symbol of unity and hope among those who have fought and are still fighting,” Lake Wales SGA Advisor Tykiela Hall said. SGA gave students informational fliers about breast cancer and encouraged them to participate in activities, including the awareness wall and decorating the center in honor of those affected by breast cancer.